Extremely tasty meat roulade. It does not take a lot of time to prepare it. Serve with mash potato and vegetable garnish. 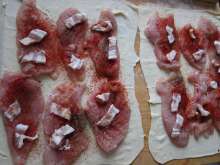 Cut the chicken breasts into the slices and pound it. 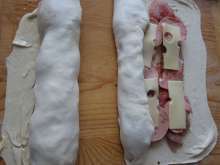 Separate the puff pastry into two halves and roll out every one on the floured board into the rectangle of adequate thickness - not too thin. 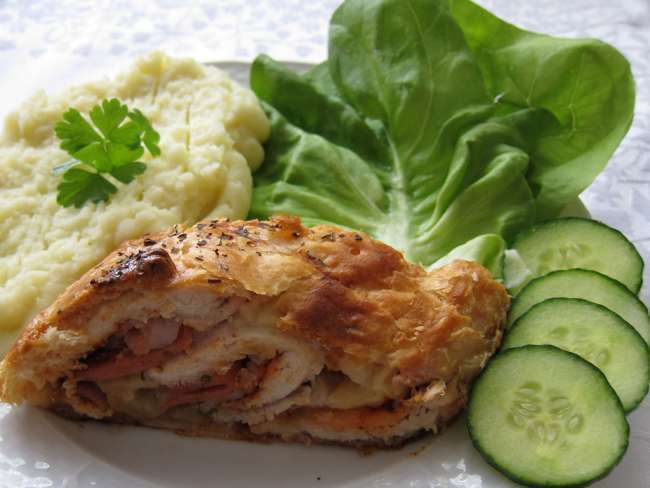 Place chicken meat on each slice of the dough, sprinkle with salt, black pepper and paprika. Chop bacon into the slices and put 1-2 piece of bacon on every slice of meat. 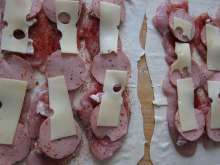 Place ham (smoked, dietetic, soft salama) on the meat with bacon and cover with thin slices of the hard cheese. 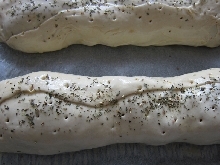 Roll up the roulade, brush the edge of dough with whisked egg and close well. Cover the roasting pan with baking paper. Replace the roulades to the roasting pan and brush them with beaten egg all over. Pierce it with fork in several places and sprinkle the surface with oregano. 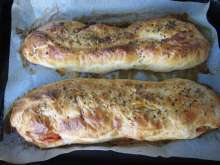 Bake at medium level in mildly preheated oven for 45 minutes.